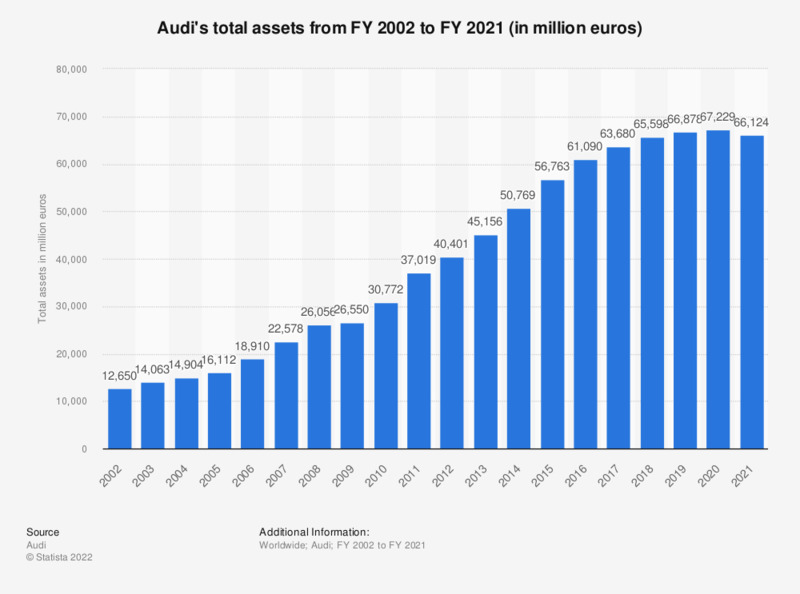 This statistic shows Audi's total assets from the fiscal year of 2002 to the fiscal year of 2018. In the fiscal year of 2018, Audi held total assets of around 65.6 billion euros (or about 74.43 billion US dollars). Data are for the years ending December 31.